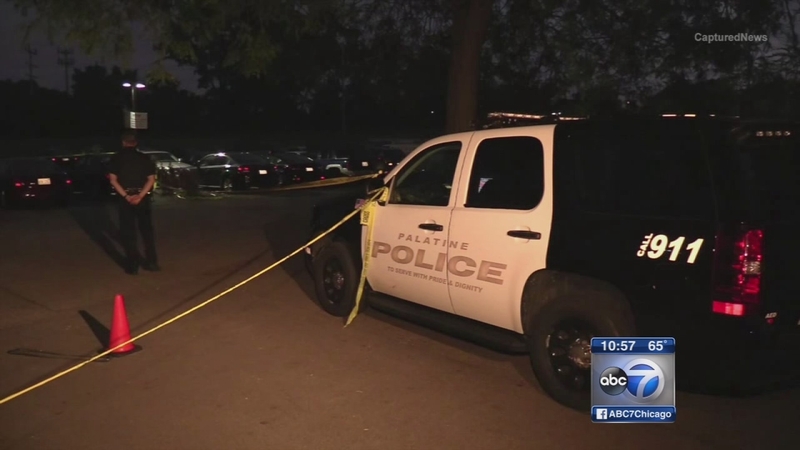 PALATINE, Ill. (WLS) -- A man was shot and wounded during a police operation at an apartment complex off Quentin Road in northwest suburban Palatine. Palatine police say around 7:40 p.m., investigators were conducting an active drug investigation in the parking lot of the Inverleith Apartments complex. Police say the 26-year-old suspect refused to get out of his vehicle after being told he was under arrest. Police say the suspect put his vehicle in reverse, slamming it into a parked vehicle, then accelerated forward and attempted to strike two officers with his vehicle. Police say "Initial reports indicate a 10 year veteran of the Palatine Police Department, fearing for his life, discharged his service weapon in an attempt to protect both he and his partner." Police say the suspect fled the scene in the vehicle and was located shortly after the incident in the 1400-block of Winslowe Drive in Palatine with a single gunshot wound to the leg. Officers immediately took the wounded suspect into custody. He was transported to Northwest Community Hospital in Arlington Heights for medical treatment. Members of the Illinois State Police Public Integrity Task Force, Cook County State's Attorney Office and Palatine Police Department are investigating the incident. "Some kind of undercover deal going on in the parking lot. We saw a car come in here, a black Impala, and then we heard gunshots and then the guy went flying out of here," said witness Clarence Foster.